With the lenders rejecting an lifeline of Rs 400 crore Wednesday Jet Airways, which has been on a wing and prayer since January, is left with no other option but to ground operations at least temporarily. 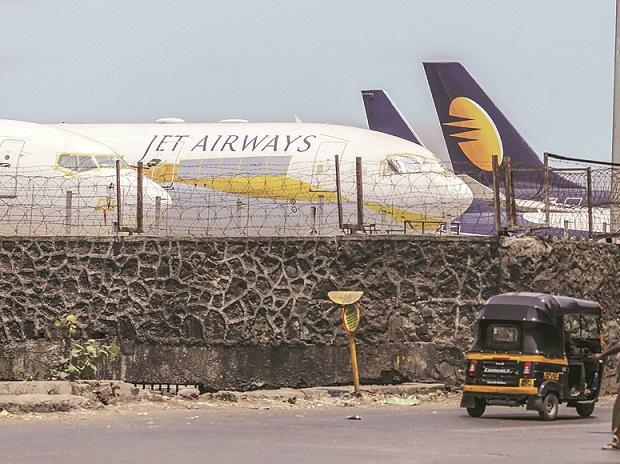 An official announcement of grounding of operations is expected anytime now as the Jet Airways board had Tuesday authorised chief executive Vinay Dube to make one last appeal to the SBI-led consortium to get a life-line of Rs 400 crore Wednesday, before taking a final call on the future. During the past five years airlines like Air Pegasus, Air Costa, Air Carnival, Air Deccan, Air Odisha and Zoom Air have all gone belly up even as the government boasts of double-digits growth for more than four years in tow. "The Jet Airways management's request for Rs 400 crore emergency funds has been rejected," banking sources told PTI. A source at the Jet Airways also said the airline was likely to shutter soon as the banks have not extended it the required financial support. "The airline has failed to garner the funds it was desperately looking for to continue operations," he said. The airline is currently operating only five planes from 123 aircraft in the fleet till last December. According to sources, the government is maintaining distance from the Jet affairs citing the matter is a commercial decision of banks.